Tromsø, a small city in the north of Norway, was the leading city at the early stages of the house and techno scene in Norway, and artist from Tromsø still plays an important role in the current scene. Since 1989, artists from Tromsø such as Biosphere, Mental Overdrive, Ismistik/Bjørn Torske, Aedena Cycle, Y.B.U, Open Skies, Alanïa, Those Norwegians/Rune Lindbæk, Phonophani, Drum Island, Alog and last but not least Røyksopp have released numerous records on various european lables like SSR, R&S, Djax, Reinforced, DeConstruction, Paper, Ferox, Telle and Wall Of Sound. The Beatservice Radio Show played an important role in the early stages of the so called Tromsø techno scene. Based on the local Student radio station, Vidar Hanssen played, along with Nick Johannesen the first years, various forms of electronic music for a small, but devoted fanbase. The show have played all sides of underground electronic music, from synth-pop through electronic body music and industrial to the techno, ambient and electronic listening music styles. To celebrate ten years of the Beatservice Radio show in 1994, Vidar Hanssen decided to collect tracks from all of the Tromsø techno artists on a compilation CD. 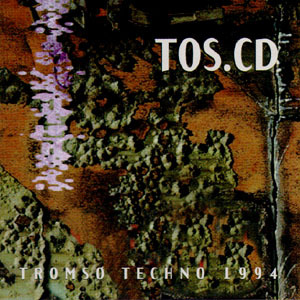 The result was released in october 94: TOS.CD - Tromsø Techno 1994. Established acts like Biosphere, Mental Overdrive and Ismistik all contributed exclusive tracks, together with up-and-coming artists. The album showed the variety in the Tromsø scene, ranging from relaxed ambient via poppy dance to hard edged techno/trance. The TOS.CD was initially only supposed to be a one-off, and released only in a limited number. But the amount of high quality music who was sent to Vidar Hanssen during the work with the compilation convinced him to go further. So the release of the TOS.CD launched the label Beatservice Records. A licencing deal was signed with Sonet for distribution in Scandinavia. A string of 12" releases followed in 1995/1996 through the Dutch company Rhythm Distribution, and the full length CD from Mind over MIDI was picked up by Voices of Wonder in Denmark for distribution outside Norway. The collaboration with Voices of Wonder in Denmark was extended in 1997, into a general manufacture and distribution deal. In the autumn of 1997, the first Arctic Circles compilation was released, serving both as a Beatservice label compilation, and a tour-de-force of the so called Arctic ambient/electronica scene, with exclusive tracks from the leading norwegian ambient and electronica artists. This later evolved into the Arctic Circles trilogy. The following years, Beatservice Records expanded both in the number of releases and artists, but also stylewise. The electronica style was further expanded with artists like Information, the house style was explored through Motion Control and the Dusty & Dirty Thangz compilation, and we tested out a drum'n'bass release with the debut album from the duo Teebee & K, later to be established DJ's/artists on various lables around the world. Sternklang represented the jazzy and funky trip-hop style with his two albums, and the classic ambient style was represented by Circular. The Norwegian electronic scene in general, and Beatservice releases in perticular also got more and more recogniniton abroad, through the distribution network of Voices of Wonder in Denmark. In 2001, Beatservice signed the most successfull act, Xploding Plastix. Their debut album "Amateur Girlfriend Goes Proskirt Agents" was very well received worldwide, and is by far the album that has been selling best on Beatservice Records. In the 00's, Beatservice evolved more into the pop-electronica territory, with bands like Slowpho, Fenomenon, Cinque Cento and last but not least Flunk, who is the current biggest success on Beatservice. But still with the electronica "oldtimers" like Mind over MIDI and Aedena Cycle/Kolar Goi releasing new albums. The late 90's/early 00's Norwegian house-scene was explored through the Prima Norsk compilation, a trilogy that has showcased the deephouse and the present space disco scene mainly in the capitol Oslo. From 2002 to 2007, Beatservice was the Scandinavian home for Biosphere. Beatservice Records was early represented on the new digital channels through Phonofile. At first there wasn't much going on there, but as physical distribution and sale went down the drain, digital sales and streaming income slowly increased. Digital releases soon became the norm, and in 2015, Beatservice Records parted with Voices, and re-surfaced as a a true indepentent one-man kitchen table label.